Save the sass for class and dress for the beach in the VISSLA Hybrid Walkshort. Quick-dry material ensure you are comfy in or out of the water. Slant hand pockets. Two welt pockets on back. One has a zip closure, the other is secured with a button-close flap. Fixed waist with belt loops. Button close with zip fly. Straight leg hem. 55 percent recycled polyester, 26 percent polyester, 13 percent cotton, 6 percent spandex. Machine wash cold, tumble dry low. Imported. Measurements: Waist Measurement: 26 in Outseam: 16 3 4 in Inseam: 7 3 4 in Front Rise: 10 in Back Rise: 13 3 4 in Leg Opening: 8 1 2 in Product measurements were taken using size 24. Please note that measurements may vary by size. 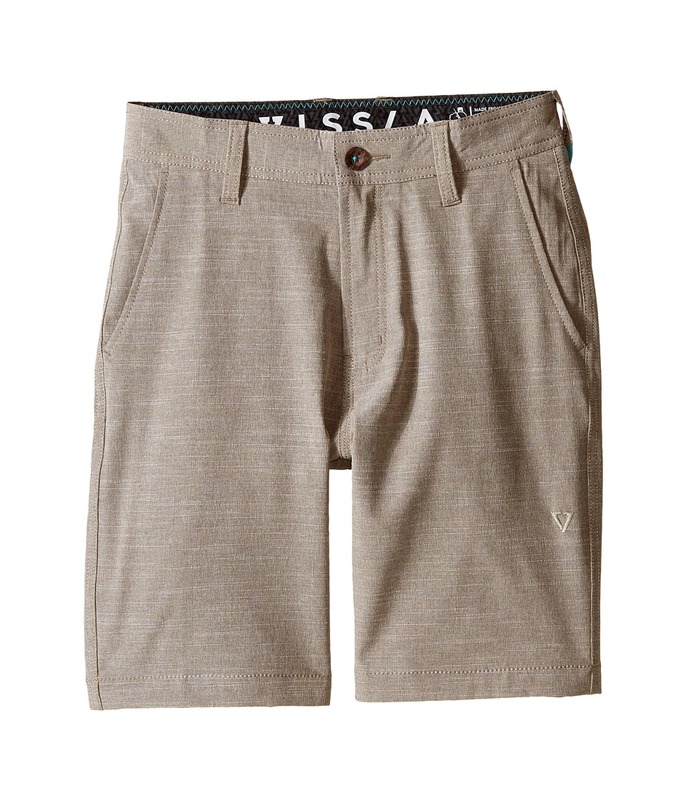 Your little one will be ready for a skate session after school in these VISSLA pants. 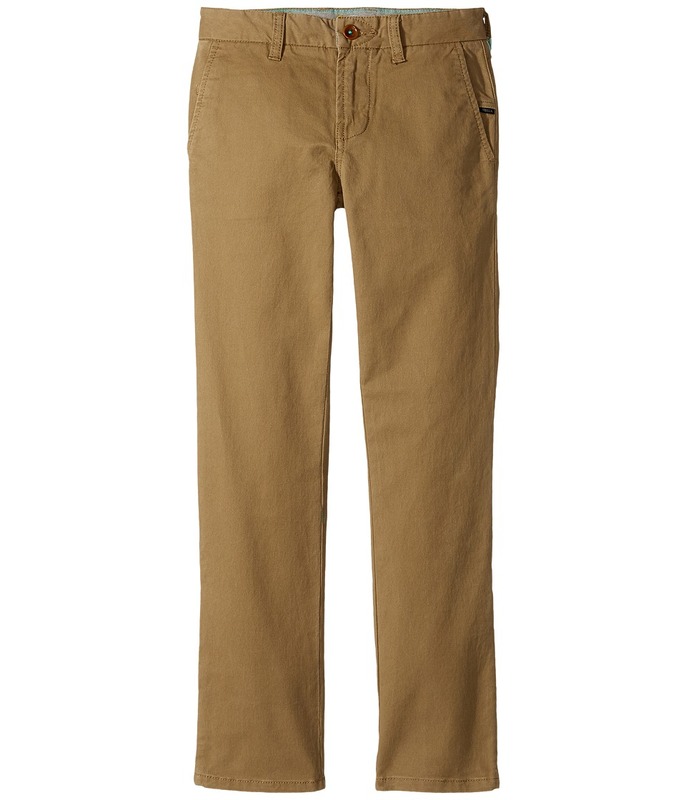 Cotton twill with just the amount of stretch. Garment dye stretch twill provides for both style and comfort. Fixed belt loops. Buttoned front closure with zip fly. Five-pocket construction with small coin pocket. 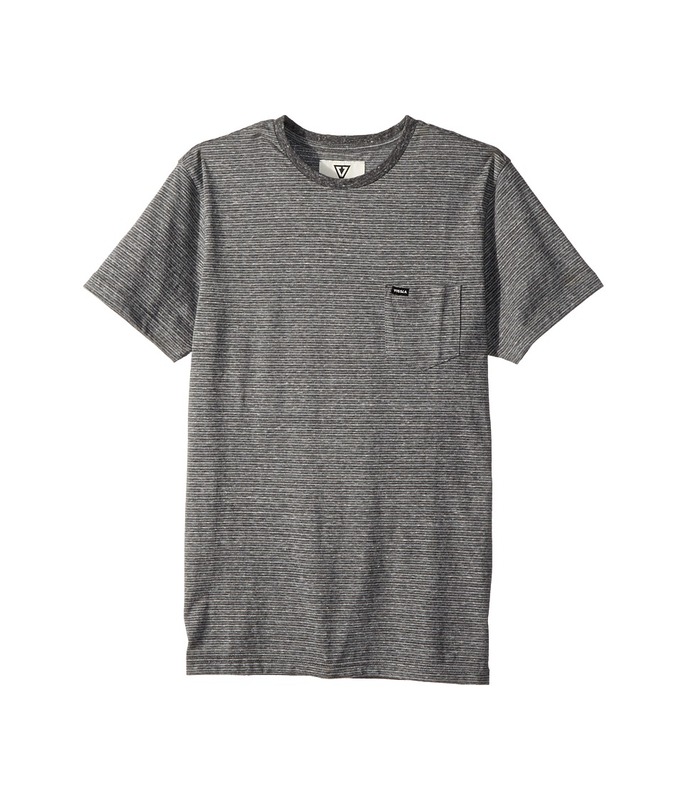 Woven logo at left pocket. Relaxed slim fit. Straight leg hem. 99 percent cotton, 1 percent spandex. Machine wash, tumble dry. Imported. Measurements: Waist Measurement: 26 in Outseam: 35 in Inseam: 27 3 4 in Front Rise: 8 in Back Rise: 11 in Leg Opening: 12 in Product measurements were taken using size 25. Please note that measurements may vary by size. 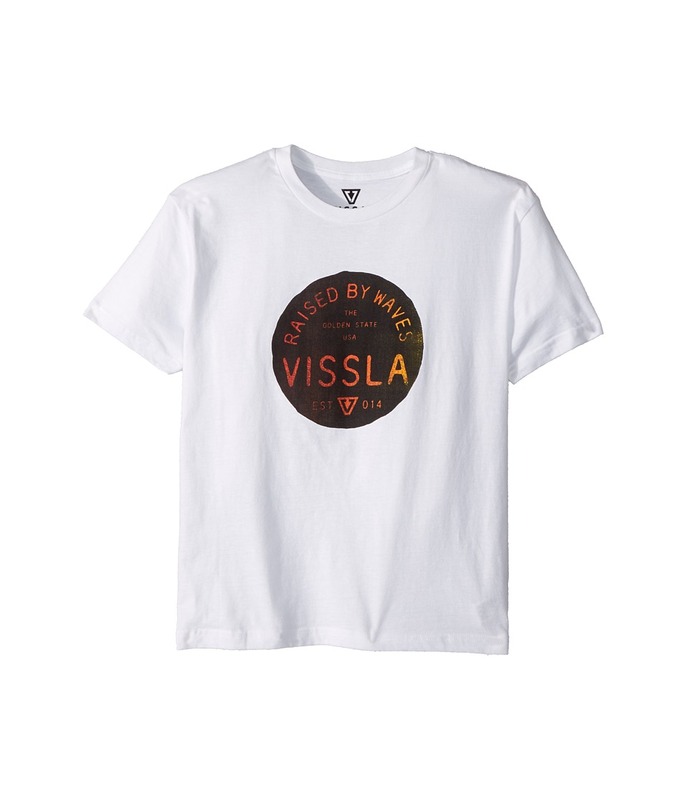 Carve the surf in style with this boardshort from VISSLA! Fitted waistband with faux draw string. Quick dry four-way stretch for a wider range of movement. Scalloped side seams. Brand patch on left leg. Color block pattern. 81 percent polyester, 13 percent cotton, 6 percent elastane. Machine wash, tumble dry. Imported. Measurements: Waist Measurement: 28 in Outseam: 16 1 2 in Inseam: 8 in Front Rise: 10 in Back Rise: 12 in Leg Opening: 18 in Product measurements were taken using size 25. Please note that measurements may vary by size. If you~re not fully satisfied with your purchase, you are welcome to return any unworn and unwashed items with tags intact and original packaging included. These boardshorts are as at home in the water as you are. REPREVE fiber contains recycled materials and aids sustainability. Durable water-repellent (DWR) finish. Four-way stretch material allows for unrestricted mobility. Colorblocked design. Fitted elastic waist. Surf-fly. Dual-hand pockets. Patch pocket with flap closure on back right. Brand patch labels on left leg and back right pocket. 36 percent polyester, 54 percent cotton, 10 percent elastane. Machine wash, tumble dry. Imported. Measurements: Waist Measurement: 22 in Outseam: 15 3 4 in Inseam: 7 1 2 in Front Rise: 9 in Back Rise: 11 in Leg Opening: 17 in Product measurements were taken using size 22. Please note that measurements may vary by size. If you~re not fully satisfied with your purchase, you are welcome to return any unworn and unwashed items with tags intact and original packaging included. 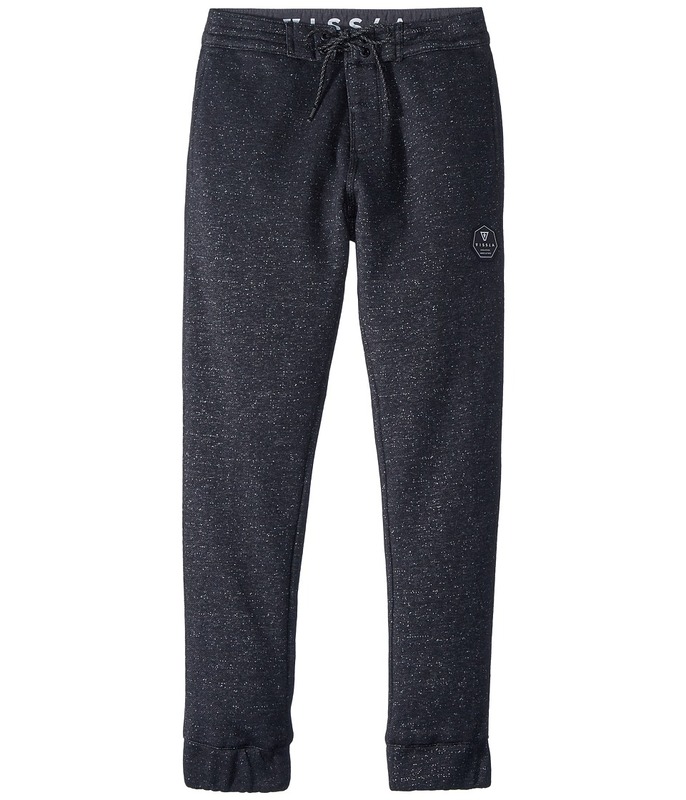 A stylish pair of pants that are perfect for hitting the half-pipe. Slim fit has a modern cut that hugs the body while still leaving room for movement. Belt-loop waistband. Zip fly with button closure. Classic five-pocket design. Contrast belt loop at left. Branding at back right waist. 99 percent cotton, 1 percent elastane. Machine wash, tumble dry. Imported. Measurements: Waist Measurement: 25 in Outseam: 34 in Inseam: 26 in Front Rise: 7 in Back Rise: 11 1 2 in Leg Opening: 12 in Product measurements were taken using size 25. Please note that measurements may vary by size. 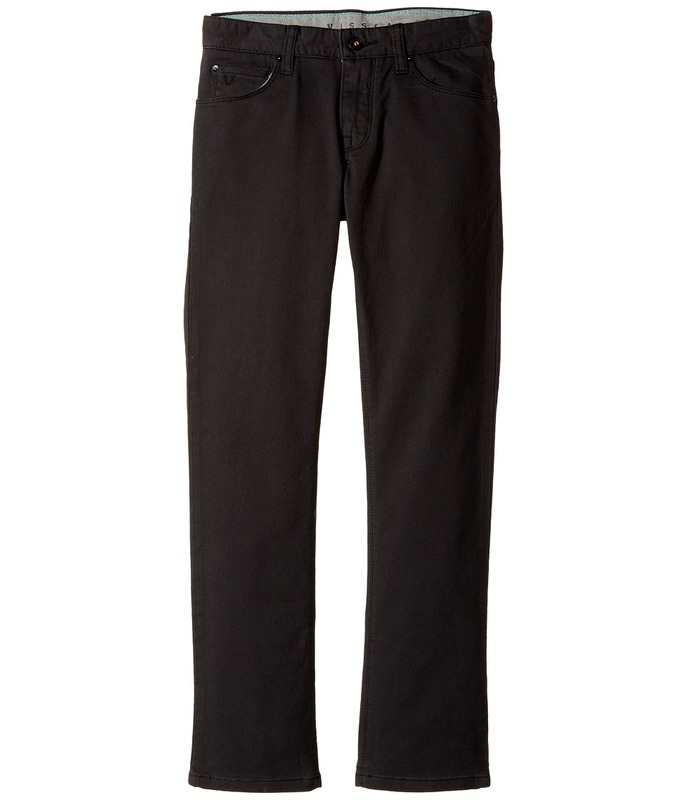 A soft and comfortable pair of pants that are perfect for hanging out around the house. Elastic waistband. Surf-fly. Hand pockets. Welt pocket in back. Heathered design. Brand patch on left leg and right waistband. 80 percent cotton, 20 percent polyester. Machine wash, tumble dry. Imported. Measurements: Waist Measurement: 29 in Outseam: 37 1 2 in Inseam: 28 1 4 in Front Rise: 10 1 2 in Back Rise: 13 in Leg Opening: 5 1 2 in Product measurements were taken using size XL (16-18 Big Kid). Please note that measurements may vary by size. A comfortable and classic tee that~s perfect for taking on any challenge. Regular fit. Crew neck. Short sleeves. Heathered design. Large graphic print brand logo in front. 60 percent cotton, 40 percent polyester. Machine wash, tumble dry. Imported. Measurements: Length: 23 in Product measurements were taken using size MD (8-10 Big Kids). Please note that measurements may vary by size. 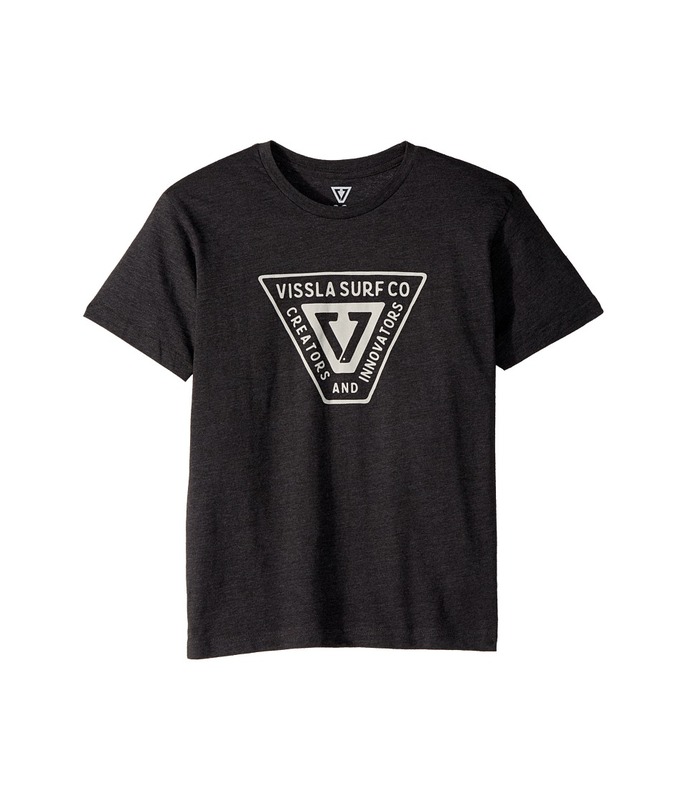 A comfortable tee that~s perfect for a grom that~s always dreaming of the sea. Regular fit. Crew neck. Short sleeves. Graphic print branding in front. 60 percent cotton, 40 percent polyester. Machine wash, tumble dry. Imported. Measurements: Length: 24 in Product measurements were taken using size LG (12-14 Big Kids). Please note that measurements may vary by size. A soft and comfortable tee that~s perfect no matter where their adventures take them. Crew neck. Short sleeves. Patch pocket on left chest. Heathered design. Contrast ribbed binding on collar. Brand patched on pocket. 75 percent cotton, 25 percent polyester. Machine wash, tumble dry. Imported. Measurements: Length: 27 in Product measurements were taken using size XL (16-18 Big Kids). Please note that measurements may vary by size.